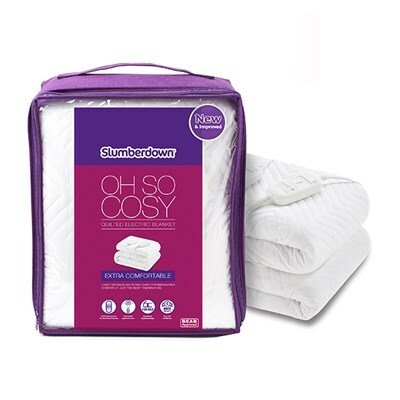 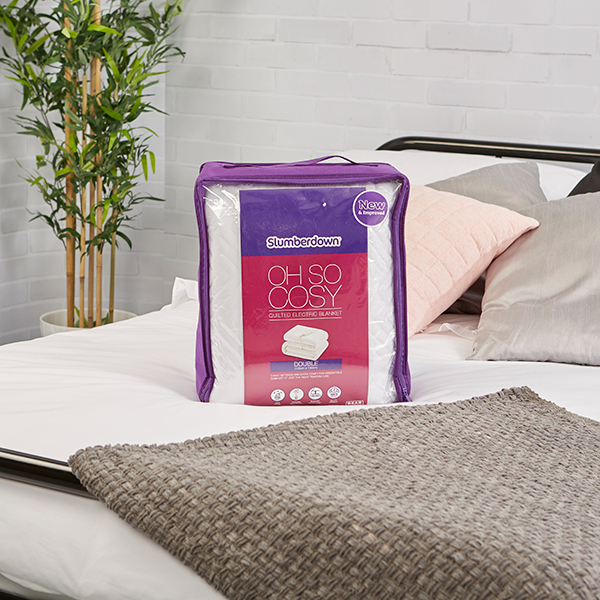 Stay snug as a bug as the chills set in with the Slumberdown Oh So Cosy Quilted Electric Blanket. 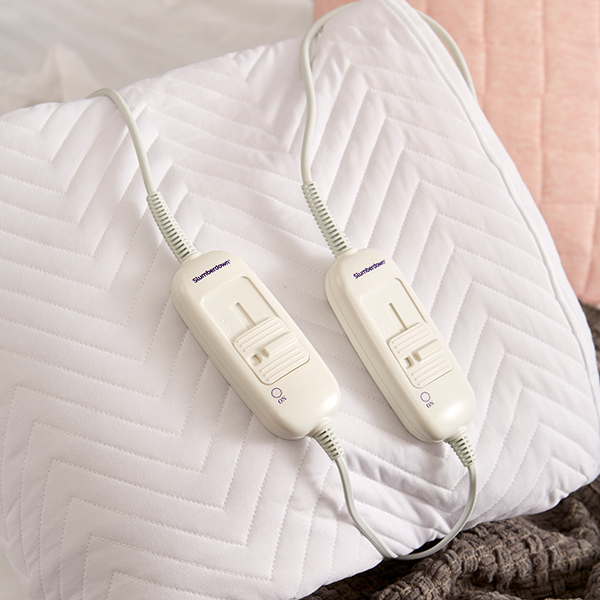 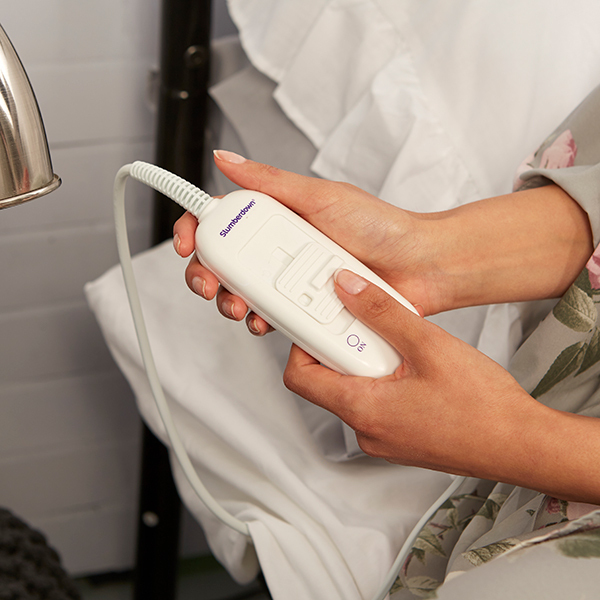 Designed with three heat settings to find your perfect temperature, this electric blanket provides supreme comfort, with a light fluffy filling. 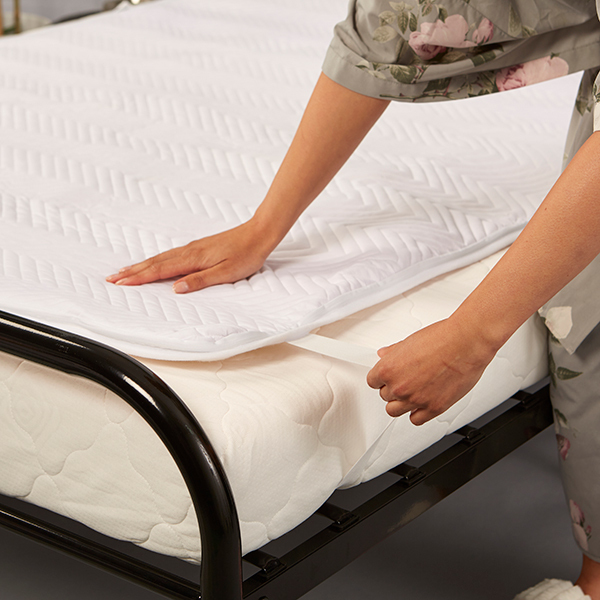 Simple to install, with firm hold elasticated mattress straps, which fit over the end and hold the blanket securely in place.